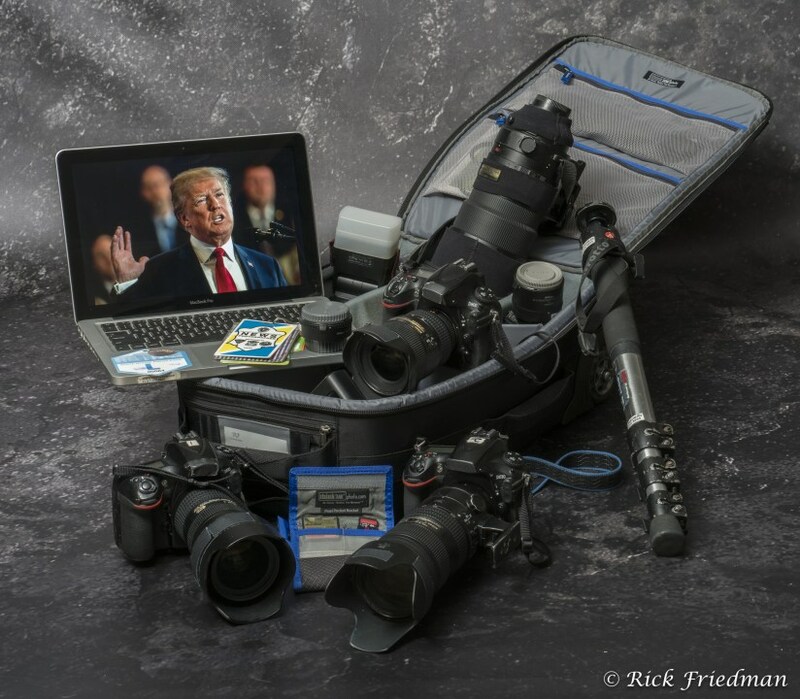 In this article, I talk about the gear I brought to photograph President Trump's visit to Manchester, New Hampshire. I had to scope out the perfect angle for when the President came on stage, and decide which equipment to actually use. This is because you only have so much space, and also don't want to weigh down your back during the long walk from after screening to the press area. Learn more about my assignment to photograph President Trump, here!